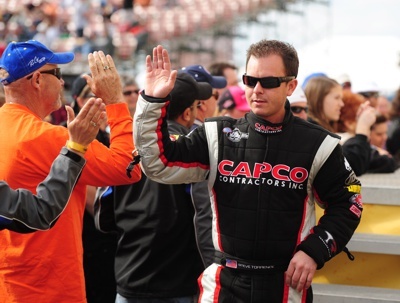 March 6, 2012 -- The many pieces required to put a new race team together have fit very well for Steve Torrence and the Torrence Racing/Capco Contractors Inc. Top Fuel crew, and now they are determined to take the steps necessary become a title contender. Torrence, who rewrote personal bests in 1,000-foot elapsed times and speeds two weeks ago at Phoenix, may have an opportunity to continue that trend in the Tire Kingdom Gatornationals, Friday through Sunday at Auto Plus Raceway in Gainesville, Fla. He posted an impressive 3.788-second time at 321.19 mph at Phoenix to erase his former top performances. That secured his no. 3 starting position. He increased his speed mark to 322.04 in a first-round hole-shot victory over Brandon Bernstein and stopped the timer at 3.794 seconds in a quarterfinal loss. After two 2012 races – and five overall for the team he started late last season – he is in a tie for seventh place.